Family Promise of South Palm Beach County Assists children and their families that have become homeless in our community. Class of Housing: Assists children and their families that have become homeless in our community. Family Promise is a charitable organization that utilizes existing resources of local faith communities. Our churches and synagogues work together to assist children and their families that have become homeless in our community. The program provides temporary shelter, meals, and support services. The goal is to restore the families to sustained independence. 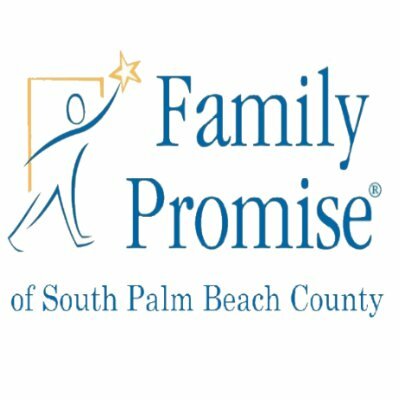 Family Promise of South Palm Beach County (FPSPBC) has been serving homeless families with children in Palm Beach County since November of 2008. It is the local affiliate of the national Family Promise program founded in 1988. There are over 150 affiliates in 39 states throughout the nation. Be a volunteer. Call Family Promise of South Palm Beach County at (561) 265-3371 for current volunteer work opportunities. Posting Comments below is for viewers on this website only. If you have information that can help users regarding Family Promise of South Palm Beach County, please provide it below.